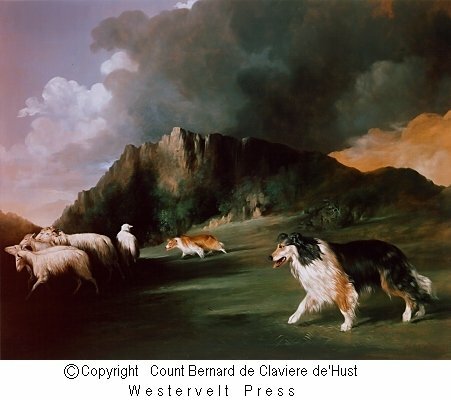 Dog Prints, Border Collies,Count Bernard de Claviere d'Hust," Folding the Flock ". Border Collies: Folding the Flock. threatening moment in nature is forward into the light. behavior, is helping the dogs guide the sheep to shelter. said to have an eye that can hypnotize cattle. or black, white, and red.